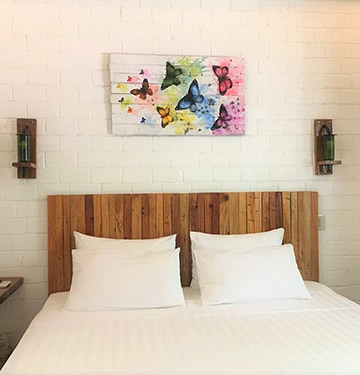 Located within an easy 10 minute walk from the famous Alona Beach in Panglao Island, and a 30-minute drive from Tagbilaran Airport, Serviced Apartments by EcoHotel Alona offers rooms that are made from home-made bricks. 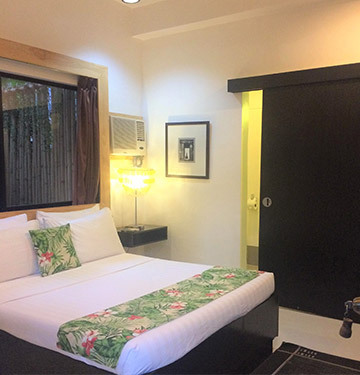 Located away from the flurry of Station 1, behind local landmarks as Our Lady of the Most Holy Rosary Church and Balabag Plaza, Serviced Apartment by EcoHotel Boracay is a leisurely 5 minute walk from the stunning white sand beach. 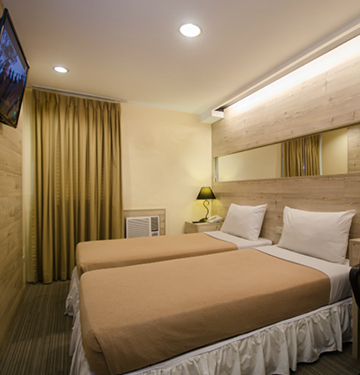 Located across Ayala Serin Mall in Aguinaldo Highway, Cabins by EcoHotel Tagaytay is the flagship property housing 16 guest rooms. 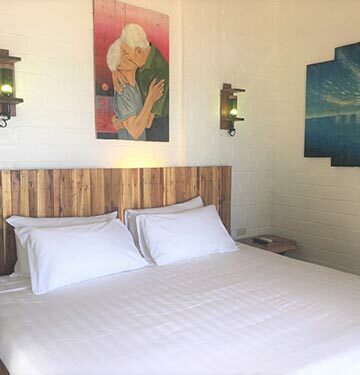 Located in the budding Pops District in Barangay Corong Corong, Suites by EcoHotel is over a kilometer away from the congested town proper and faces the breathtaking scenery of Corong Corong Bay. 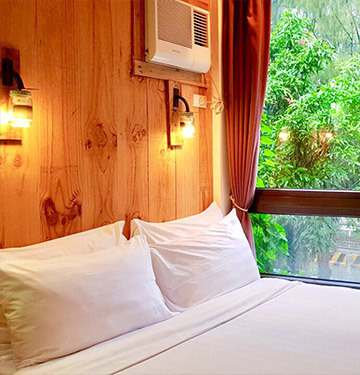 Villas By Eco Hotel offers the perfect venue for those who just want a quick reset before returning to their fast-paced life back in the Metro. 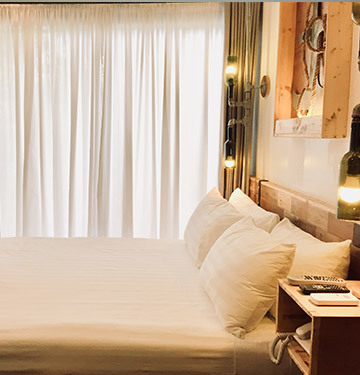 The evolution of container reuse extended further to lodgings after realizing its inherent strength, vast availability, and considerable low cost all supporting its eco-friendliness. Located in one of the busiest intersections in Makati, close to Makati Medical Center and walking distance to Greenbelt Shopping area. Biologically rich and abundant in natural resources, the Philippines and her 7,107 islands is certainly a hub for ecotourism. At Eco Hotels, we preserve this richness and biodiversity as we promote ecotourism and responsible travel. We are one of the very few hotel chains in the country with a strong ecological conscience. We are well-aware of the big issues of sustainability and try our best to do right, daily, by this fragile environment. From our commitment to the environment comes our mission to give you green travel at its most enjoyable. Eco Hotels simply reflects a vision of a future that combines sustainability and quality of life. For us, sustainability is more than just an industry buzzword. As one of the top eco-friendly hotels in the Philippines, we set a benchmark for our establishments through a series of concrete environmental initiatives. Our practices go beyond ensuring the lights are off when not in use. We apply waste reduction practices wherever and whenever possible. We also have a recycling program integrated throughout the hotels. We reduce carbon emissions and energy use with low-energy generators and highly efficient cooling systems. At Eco Hotels, we believe that since we all share the same world, we each have a responsibility to care for it. Book now. What is a “green service hotel”? As an eco-friendly hotel in the Philippines, we embrace a globally celebrated concept in the hospitality industry. Our policies, procedures, services, facilities and amenities revolve around our corporate mission to reduce our carbon footprint, reuse items when necessary, recycle materials creatively, and renew energy and resources efficiently, all to minimize the impact on the environment. Yes, and our breakfast menu consist of a local selection of food items including coffee served from 7am to 10am. Rooms may be inclusive of breakfast depending on the room rate availed. We do not have a full banquet service and only serve breakfast from 7am to 10am. Our hotel is within walking distance from restaurants, convenience stores and souvenir shops. Consistent with our mission to achieve zero-waste, we have toilet kits containing toothbrush, toothpaste, and cotton buds available upon request at the front desk. As for other amenities, a multi-purpose bath wash suitable for face, hair and body is available in dispensers in each shower room. If I arrive later than 10pm, how will I be accommodated? Will I be given a discount for late check-in? A night duty personnel will assist guests that arrive after 10pm. Our CCTV cameras are operational 24/7 hence will monitor arrivals during late hours for added security. Unfortunately, no discounts apply to late arrivals. We allow pets at a maximum weight of 25lbs. Pets must always be kept in a leash. A housekeeping fee of P500.00 per pet per night and a security deposit of P2,000 must be settled at the hotel upon check in. 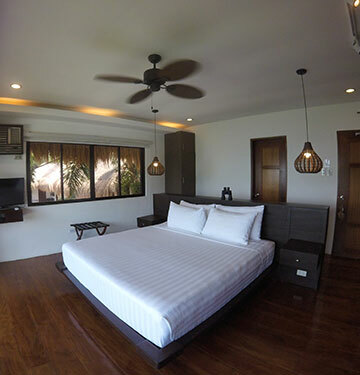 This is in addition to the P1,000 per room security deposit required from guests. The security deposits not consumed are refundable upon check out. Not applicable for Creekside Makati Hotel. Early check-ins are subject to availability. An extra night will becharged for arrivals before 7am. If not amenable, guests may store their luggage at the hotel and return at standard check-in time. Late check-outs are subject to availability. A 50% room charge will be assessed for extensions between 1pm to 5pm. 100% room charge will be assessed for extensions after 5pm. Our on-site Front Office representatives will be able to assist in any tour requirements with our accredited tour operators. Corresponding charges will vary depending on the tour/s availed. Prior arrangements of at least three (3) days with complete details (date, time, destination, number of pax) will be required.